In July 2017, Dr. Scott Gottlieb, the newly appointed commissioner of the U.S. Food and Drug Administration (FDA), announced his plan for what he considered to be a multiyear road map of the agency’s regulatory approach to protecting youth from and greatly reducing the risk of tobacco-related disease and death. To that end, Gottlieb stated that the FDA would be seeking public comment in the near future through the release of advance notices of proposed rulemakings (ANPRMs) to gather public comment, empirical data and other information on certain tobacco products and their characteristics to assess the FDA’s regulatory stance going forward. Gottlieb’s plan has started to take shape. In late March, the FDA began to solicit comments from the public through the issuance of: (1) an ANPRM on setting a tobacco product standard for nicotine levels in combustible cigarettes; (2) an ANPRM regarding the regulation of flavors in tobacco products; and (3) an ANPRM dealing with whether a carveout should be made for so-called “premium cigars” that exempts them from the FDA’s authority pursuant to the FDA’s deeming regulations that went into force in August 2016. Established smokers of combustible cigarettes would be receiving a less addictive product and would thus have a higher success rate of quitting combustible cigarettes permanently. Youth and young adults experimenting with combustible cigarettes that contained a lower level of nicotine would be less likely to get addicted and become established smokers. Lower levels of nicotine in combustible cigarettes would disillusion current smokers and make them transition to potentially less harmful alternatives such as e-cigarettes and vapor products. 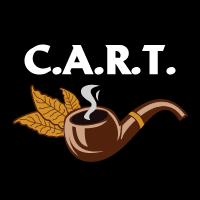 That being said, the FDA has pointed out that one of its main concerns in the enactment of such a standard would be the effect of users migrating to other tobacco products that pose substantial health risks (i.e., little cigars, premium cigars and smokeless tobacco). In fear of users moving away from combustible cigarettes and toward these other products, the FDA is debating and soliciting public comment as to whether the scope of setting a limit on nicotine levels should be limited solely to combustible cigarettes or extended throughout the continuum of currently available products, including cigars, smokeless tobacco, etc. In terms of the regulation of flavors, the FDA stated that they recognize the role flavors play in attracting youth to tobacco products. Such a notion is not novel, as many lawmakers have cried foul over the availability of e-liquid flavors like bubblegum and cotton candy, which they believe are targeting children. The FDA, however, has indicated that the role of flavors is not one-sided. Although some flavors may be appealing to youth, the same flavored products have had an impact in helping a sizeable number of adult smokers successfully transition away from more harmful tobacco products. Take, for instance, the shift that has been seen in smokers switching from combustible cigarettes to e-cigarettes and other vapor products, the vast majority of which are used with flavored e-liquids. Thus, the FDA is calling for public comment in an attempt to balance the benefits and risks that flavors pose to both youth and adults. Finally, the FDA has given notice of its intent to re-evaluate its regulatory stance on premium cigars in that the FDA has had difficulty evaluating reports and studies that do not provide a clear definition of what a premium cigar is. In addition, the FDA is seeking public comment in order to more thoroughly assess the addictive nature and public health impact of premium cigars versus other tobacco products. Data has shown that smokers of premium cigars smoke them at a much lower frequency than smokers who use other tobacco products. Premium cigars are also not considered to be as appealing to youth due to their higher price point. Therefore, the FDA is seeking further comment and the submission of empirical data and studies to determine whether premium cigars warrant the same regulatory oversight as other tobacco products. Time will tell how these ANPRMs and their responses will affect the FDA’s regulatory stance on tobacco products. Regardless, such notices give members of the industry the chance to provide their input on the FDA’s regulatory matters concerning tobacco products going forward.